"Varjak the kitten doesn't fit in with his family. With his amber eyes and dreams of The Outside, he's different - and he doesn't suit city life either. That is until he befriends a tough alley cat called Holly. Can they survive in the city where gangs of cats are ready to kill them? 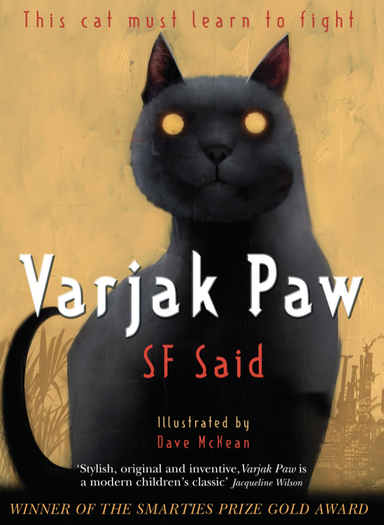 "Stylish, original and inventive, Varjak Paw is a modern children's classic"